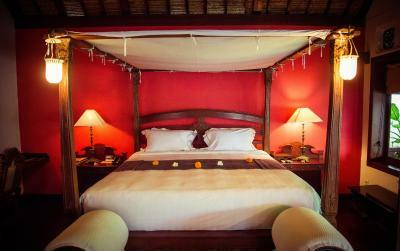 Lock in a great price for Hotel Tugu Bali – rated 9 by recent guests! This is the first time I have stayed here and it is now one of my top 5 favorite hotels in the whole world! The design, architecture, and landscaping are all gorgeous. 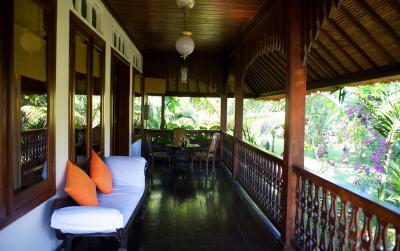 It is well-worn (in a good way) and comfortable, as if you are in a stately Balinese home, filled with fine antiques and art. The staff are so kind and caring; they are always around, smiling, and eager to help in any way. And a big bonus for me (since I sleep till very late) is that you can order breakfast at any time of the day and have it served anywhere in the hotel.....love this!! We dined at Ji Restaurant and the food was delicious! All the food at the hotel is excellent. Also, the transport from the airport to the hotel (which was arranged through the hotel) was perfect. The driver was there waiting for us as soon as we exited customs. A five star experience in every aspect. I look forward to staying here again!!! 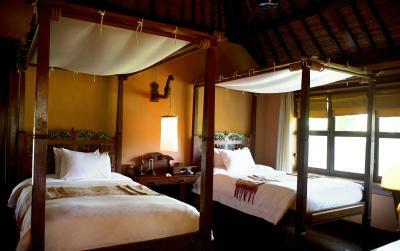 Spacious Room with very large and comfortable bed, private pool with privacy. Breakfast was very good. Staff was perfect. All very kind and always willing to help us. Heritage hotel. Beautiful balinese decoration. Staff is great and super supportive. They make the most to make you feel welcome. Breakfast at any time of the day. Great atmosphere, staff, food, and style - very special place that has obviously been there for quite some time. Not one of the mainstream styled boutique hotels but a rather unique place. 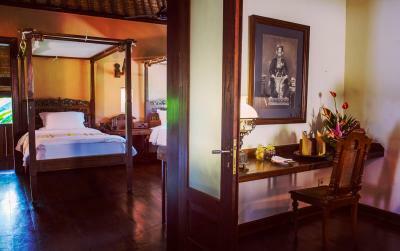 Fantastic property that truly pays respect to the culture and history of Bali. Wonderful staff. When you enter through the front, you feel transported into a different world. It can get loud at night, but it's not too bad. 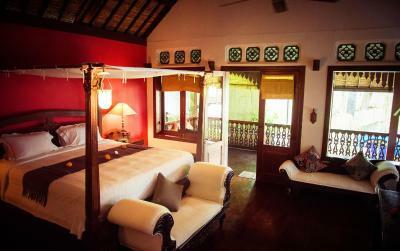 Absolutely stunning rooms (I stayed in both the Rejang Suite with Ocean View & Dedari Suite with Private Pool). The service from the staff was excellent. Amazing food. Amazing bath products. Eco friendly. Every detail was thought of in the execution and design of the rooms. The Thursday night dance performance at dinner was captivating. A purely magical experience. The staff did everything to make our stay as relaxing and enjoyable as possible. Special thanks to Rini, Andre & Yoga for all their personal touches. The breakfasts and afternoon teas were a delight! Also, the New Year Gala Party was a great bonus. We particularly appreciated the generous offer of the complimentary use of a spa room from midday to 8PM, as we had a very late night flight from Denpasar. The hotel is amazing - it is definitely as though you are living in a museum. 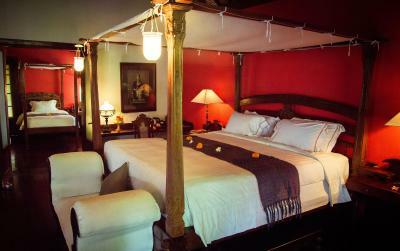 The rooms are really beautifully detailed with fresh flower deliveries every day and the comfiest bed. The staff are so lovely and helpful and made me feel incredibly welcomed, even as a solo traveler! Easy access to the beach and shops. Hotel Tugu Bali This rating is a reflection of how the property compares to the industry standard when it comes to price, facilities and services available. It's based on a self-evaluation by the property. Use this rating to help choose your stay! Featuring a sizable antique collection on the property that includes Balinese, Javanese and Asian artifacts, Hotel Tugu Bali offers accommodations in Canggu. It is located on Echo Beach, along the coast north of Seminyak. Nestled within private gardens, the hotel features an outdoor pool overlooking panoramic sunset views and 5 themed in-house restaurants. Free WiFi is available in public areas. 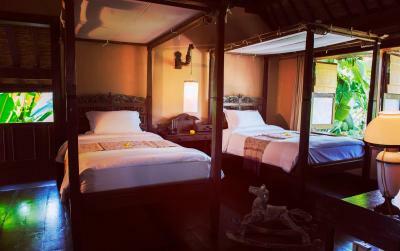 Hotel Tugu Bali is about 7.5 mi away from central Seminyak and Tanah Lot. The nearest airport, Ngurah Rai International Airport is a 45-minute drive away. 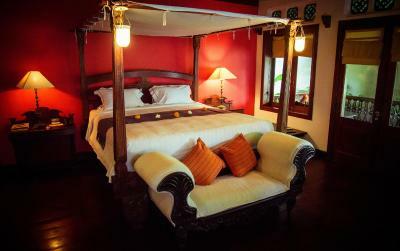 The air-conditioned suites at Hotel Tugu have Asian décor and wooden furnishings. Rooms come with a satellite TV, mini-bar and a personal safe. Some units open up to views of the ocean and have access to a private plunge pool. Private bathrooms are fitted with rain showers and spacious bathtubs. The hotel features a hot tub and holistic massage services at its spa. Guests can approach the 24-hour front desk for a variety of indoor and outdoor activities, tour arrangements, ticketing and concierge services. There are also live Balinese dance and musical performances by local musicians held weekly in the evenings. The in-house restaurant serves up a wide range of dining options that range from authentic Indonesian dishes to Chinese and Japanese cuisine. Guests can choose to dine indoors, within the gardens or in any of the themed-dining spaces available. 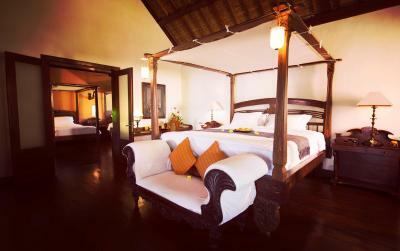 When would you like to stay at Hotel Tugu Bali? Featuring a private plunge pool and an open-air dining pavilion, this spacious single story villa floats above a lotus pond overlooking the sea. It has a beautiful semi open over-sized copper tub, and a private terrace overlooking the sea and sunset. Decorated in a romantic 20th century Javanese art deco style, this villa is surrounded by a tropical garden and fitted with a private terrace. It features a living area, outdoor dining pavilion and a unique outdoor sunken bath. This suite has a balcony, seating area and private pool. House Rules Hotel Tugu Bali takes special requests – add in the next step! Hotel Tugu Bali accepts these cards and reserves the right to temporarily hold an amount prior to arrival. 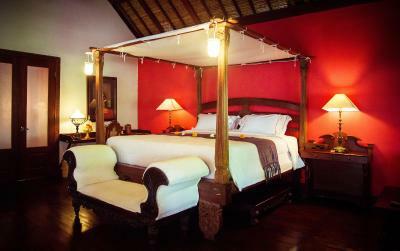 Please inform Hotel Tugu Bali of your expected arrival time in advance. You can use the Special Requests box when booking, or contact the property directly using the contact details in your confirmation. We didn't realize how bad the beach near the hotel was. Basically impossible to swim or sunbathe there. The description for room 207 should be changed to "partial ocean view". Expensive by Bali standards but the location is excellent for beach, bars and restaurants. Room 108 (dedari suite). 1)The noise. This is right by several late night beach bars that party late and loud several nights a week. 2) The plunge pool is shaded by plants so it's cold and full of leaves and dead flower heads which attract lots of ants onto the patio furniture 3) The air con loses the plot around 3am and grinds out ice chips it showers everywhere - loudly. Every night. 4) The hotel offers a lot of spa options but they are really expensive....which you wouldn't mind if all the rest was 5* but it doesn't feel that way. Bed was so super comfy!! . The room was spacious and very clean. The hotel grounds were gorgeous and beautiful and the food at Ji very nice (although very small portions). The free afternoon tea. Loud music from the places across the street, until 4:00 every morning (but even worse than the music was the bass; I could feel it even when the music wasn't so loud). Maybe the hotel could change out the windows in the bedrooms that are closest to the street to double paned glass. Breakfast could offer more variety. Amazing ambience in this traditional Balinese hotel. Staff were amazing! Ji restaurant at night on the roof was incredible. Wonderful hôtel which is at the same time a museum. The Dedari Suite has a marvellous half open bathroom and a quiet private room. Impeccable Room service. Exceptional staff, very helpful. Very good location, delicious breakfast and dinner. The massages were top. While I much preferred the style of the Rejang Suite to the Dedari Suite, I had a harder time sleeping in the Rejang Suite because of its elevation and the noise from the nearby beach clubs until 4am. They provided ear plugs but I think a sound system with relaxing music or white noise would be more effective at reducing the disruption in the rooms. The first level Dedari Suite was much quieter, but the style felt a bit dated. So full of character and the staff were so friendly. The noise from next door. For many years Tugu has existed as an oasis of calm. Unfortunately it now has a severe drawback, which is increasingly common in the tourist areas of Bali. The noise from the neighbouring beach bars is obvious and, on a Friday night, unbearable. We were in room 205 and might as well have been inside the Lawn club, located about 30m away as the crow flies, so loud and penetrating was the sound. We were told it should finish at 1am, but it carried on until around 2:30am. And then we were woken by the gardeners at 7am! Perhaps we were unlucky. Perhaps it is quieter from Sunday - Thursday. We chose to check out rather than risk the same disturbance on Saturday. I feel so sorry for the management, who are so friendly and helpful and were very understanding of the issue. They even arranged us a complimentary transfer to our alternative hotel. They must have to deal with this issue constantly, but without having any control over the cause, which must be frustrating. If this were a budget hotel then perhaps one would put up with it. But it's not. It is in the top range and when you are paying that kind of money you don't expect that kind of disturbance. I know the hotel is engaging with the local authorities about the issue and I very much hope they get a satisfactory resolution. This is a beautiful traditional hotel, with lovely gardens and an amazing management and staff. Ji restaurant of the roof has fabulous sunset views.